Well-engineered and reliable. What more do you want? EGO recently released a new video that shows the powerful EGO Power+ chainsaw cutting a log in slow motion. It’s a great video that shows the power of a chainsaw in a stylistic manner. If you don’t know anything about the EGO chainsaw or the brand, I recently wrote an review on this powerful 56V chainsaw , so I recommend you read that to learn all the details about this fantastic battery chainsaw. I always appreciate artistic approaches to marketing as I typically ignore most advertising these days, unless it’s unique, and in this case EGO shows us the same old thing but in a new way. Definitely worth the 30 seconds of time it will take to watch the video. The EGO Power Chain Saw is the most powerful rechargeable product of its kind. The first-ever 56-Volt lithium-ion battery has 40 percent more power than the leading 40-Volt battery. It is removable and fits all EGO tools. The 14 in. bar and chain combined with a hi-efficiency brushless motor provides a smooth cut. The brushless motor extends the life of the tool and the run time. 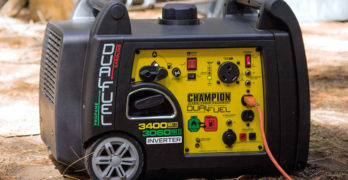 The EGO Power Chain Saw delivers the performance of gas without the noise, fuss and fumes. If you’re in the market for a chainsaw and you’re unsure what’s best for you the EGO Power+ chainsaw is a great option but there are other choices as well. I’ve compiled a list of guides to help you make a better buying decision. 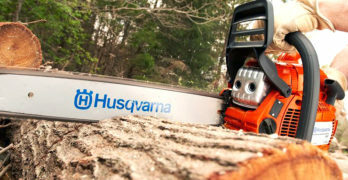 If you’re new to chainsaws it takes a lot of effort combing through all the data and options available for you but we’ve done the tedious work for you. EGO Plus Charger charges a 2.0Ah battery in about 30 minutes. Before you can choose the right chainsaw you have to know what your needs are and then choosing a chainsaw to match those needs, budget and physical abilities. Chainsaw Resource Page: Manufacturers, parts, manuals, all models and dealers.